Swift Swim Boosts the Pok�mon's Speed in rain. This Pokemon's Speed doubles during Rain Dance. 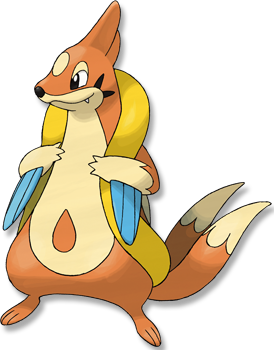 Water Veil* Prevents the Pok�mon from getting a burn. This Pokemon cannot become Burned. Diamond/Pearl Its flotation sac developed as a result of pursuing aquatic prey. It can double as a rubber raft. Platinum It is a common sight around fishing ports. It is known to rescue people and carry off prey. Heart Gold With its flotation sac inflated, it can carry people on its back. It deflates the sac before it dives. Soul Silver With its flotation sac inflated, it can carry people on its back. It deflates the sac before it dives. Black It is a common sight around fishing ports. It is known to rescue people and carry off prey. White It is a common sight around fishing ports. It is known to rescue people and carry off prey.